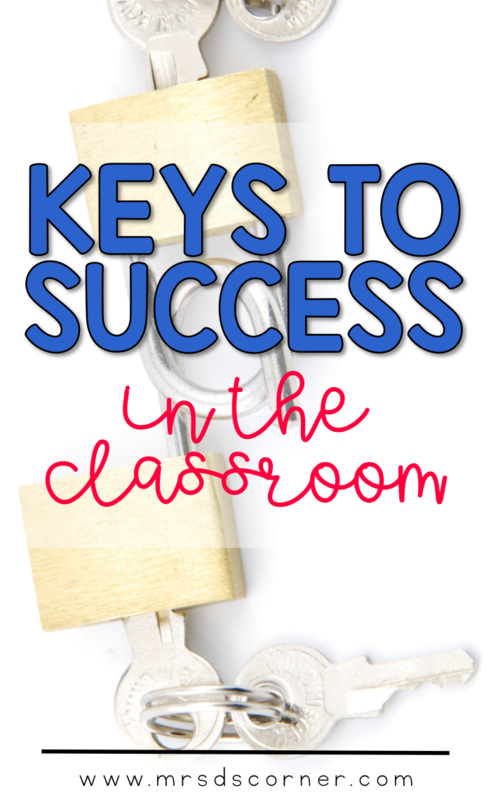 When it comes to teaching, there are some keys to success that make your classroom life a whole lot easier. Sure… some of them you can learn in college, but most of them are what you learn from good ‘ole classroom experience. 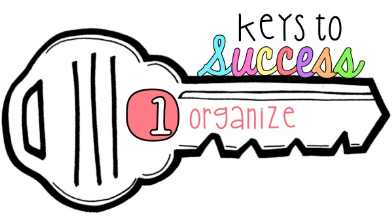 The keys can range from something so small and easy… to something intricate that takes time to implement. Label your bins and cabinets, so you can find what you need quicker. Invest in a good pack of Post It notes and Sharpies. Get a good calendar and lesson planner, and keep your curriculum maps tucked away in your planner. Keep a clipboard and notepad near your desk, or a [free] Parent Contact Log. You never know when a parent will call. Have a set of pens or pencils that are only for teacher use. This will keep you sane when you need a writing utensil pronto. Use binders to organize your lessons by month, theme, time of year, etc. Use clear sheet protectors inside binders for quick access to important documents, or to store copies of something. Last, but not least, keep your desk clean and clear. If this one is hard for you, try to clean off your desk at least once a week. Collaborate with other teachers in your building, especially if you are a first year teacher or starting in a new school. Get to know your peers, ask them what they are teaching and when. Ask for pointers and share ideas. Isn’t that the whole point of collaborating? Outside of your classroom, collaborate with other teachers through online Facebook Groups that teach the same grade or subjects. It’s always nice to have a few “go to” people when you are stuck on how to teach that specific math skill or what exactly that Common Core Standard is expecting students to learn. Collaborating is even great for behavior management! So step outside of your comfort zone if you usually keep to yourself and go talk to your neighboring teachers! They don’t bite and most of the time they want to learn from you, too. Plan! Over plan and then over plan some more! If there is one thing I have learned over the past 4 years it’s to always have something planned. We’ve all been there… you plan this great lesson and expect for it to last the entire 45 minute time period. But your kids just get it and breeze through it in 25 minutes. Now what? In my experience, idle time leads to disruption. I don’t like giving detentions or having to call parents because a child acted out, so I try my best to set my students up for success. If you feel like you don’t have time to over plan for every. single. lesson. every. single. day. then try having a designated bin or file box for kids to go to for extra work (or as I call them, “sponge” activities). Have a folder with copies ready to go for each of your subjects. Update the folders every week or two to mirror what you are currently teaching in each class. Just make sure the sponge work is something meaningful to the current course work, and not just something you want students to do to fill their time. 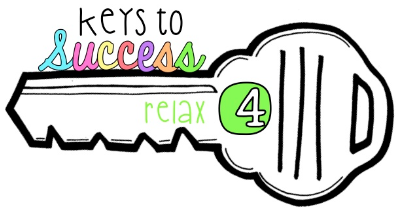 I say this because we teachers need time to unwind and relax. We need time to unwind and relax a little more than the holidays and summer vacation. I have a rule that I don’t take any work home. This doesn’t always happen, but I really do try. Weekends?! They’re for me… up until Sunday night. I need time mentally and physically to just relax and not think about work. As much as I love my students and teaching, I need some me time. I need family time with my husband and dogs. If I don’t take time to relax, I get more easily stressed out and it might start to spiral out of control. My suggestion is to take at least 1 hour every night and just vegetate. Watch the new episode of Once Upon a Time or the Bachelor without grading any tests. Take the time to keep yourself healthy and happy. You and your students will thank you for it! 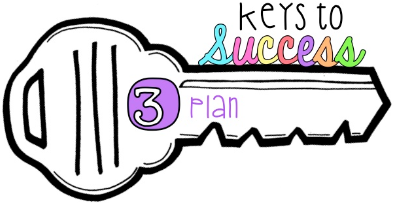 What tips or keys to success do you follow to be the best teacher you can be? « DIY Sticky Note Clipboard + Freebie! If you leave work at work… how do you find time to blog and make stuff for tpt? I have so many projects going on! I just don’t find the time to do it all! I’m glad to hear it! I feel the same way… I have so many projects. I am always looking and reading about special education. Thank you for confirming that it is a relaxing hobby instead of work!